At Tenant Realty Advisors we don't represent landlords or building owners. We work exclusively on your behalf, representing your interests only, without compromise. We help you avoid pitfalls, uncover economic opportunities, save time and money, and help your space become an asset. Unlike traditional brokerage firms that represent landlords and owners, Tenant Realty Advisors avoids conflicts of interest by only working with tenants. Dual agency occurs when one or more agents from a firm repre­sent both parties in a transaction. It’s not possible to fully serve two par­ties with opposing interests. Landlords want the highest rent possible, for the longest amount of time. Tenants want the lowest possible rent, with the most lease term flexibility. Tenant Realty Advisors doesn’t represent landlords, therefore we never have a potential conflict. 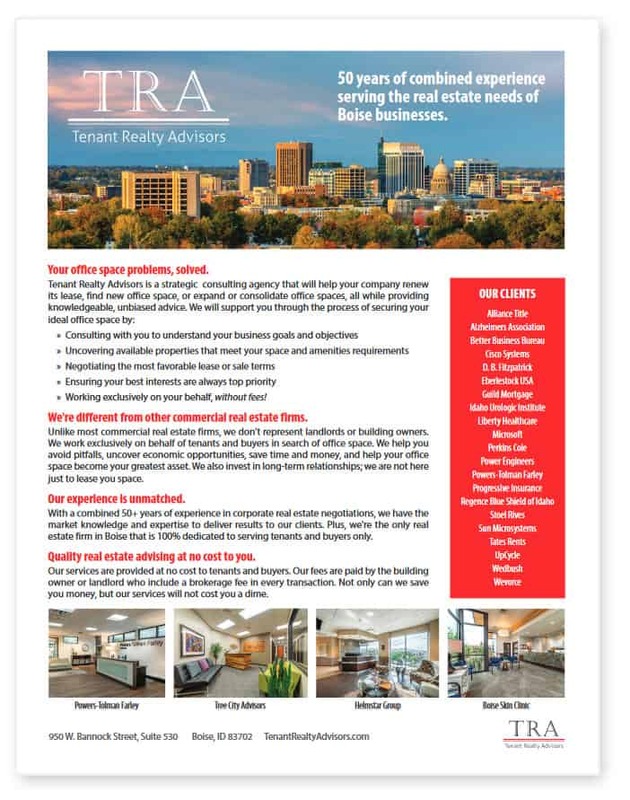 With a TRA advisor, your best interests are our interests. · Tenant Realty Advisors is the only real estate firm in the Boise area with a 100% tenant focus: We are dedicated to serving tenants. Landlords include a brokerage fee in the transaction. If you have an advisor on your side, the landlord's and the tenant's agents split the fee after the contract is signed. If you don't bring your own advisor to the table, the compensation goes exclusively to the other side's agent. With a combined 50+ years of experience, the principals of Tenant Realty Advisors have the market knowledge and expertise to deliver results for our clients. In 2000, William R. Beck founded Tenant Realty Advisors. He and brings over 40 years of experience to the bargaining table on your behalf. Mr. Beck has expertise in lease, purchase, and sale negotiations and has represented hundreds of clients in commercial transactions ranging from 1,000 to over 100,000 square feet. Mr Beck began his real estate career in Southern California after finishing time in the U.S. Marine Corp. In 1991, he relocated his family to Boise, Idaho. 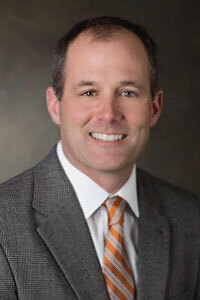 Greg has 14 years experience representing Tenants and Buyers in the Boise market. He has completed over 2,000,000 SF in transactions totaling over $150 million in consideration. Greg’s clients are local, regional and national tenants seeking office and industrial space in the Boise MSA. By leveraging his experience, resources and passion for the job, Greg delivers service above and beyond his client’s expectations. His attention to communication, detail and follow through has saved his corporate and local clients significant time and money when working through a facility solution. This approach has led to many long-term relationships and most of his work is repeat business or referral. 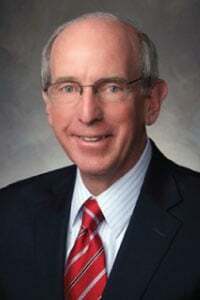 Greg is also passionate about serving the local community and has been an active board member for the local Trout Unlimited chapter, The Land Trust of the Treasure Valley, the Bogus Basin Alliance and the Idaho Fish and Wildlife Foundation. He lives in Boise, with his wife, Mindy, and their two daughters.